Ugh, autumn is truly here isn’t it? I swear it got dark at 3pm yesterday, so miserable. In my mind the only good things about the gloomy seasons are of the edible and quaffable varieties: a few months of soups, stews and mulled things make it all bearable. 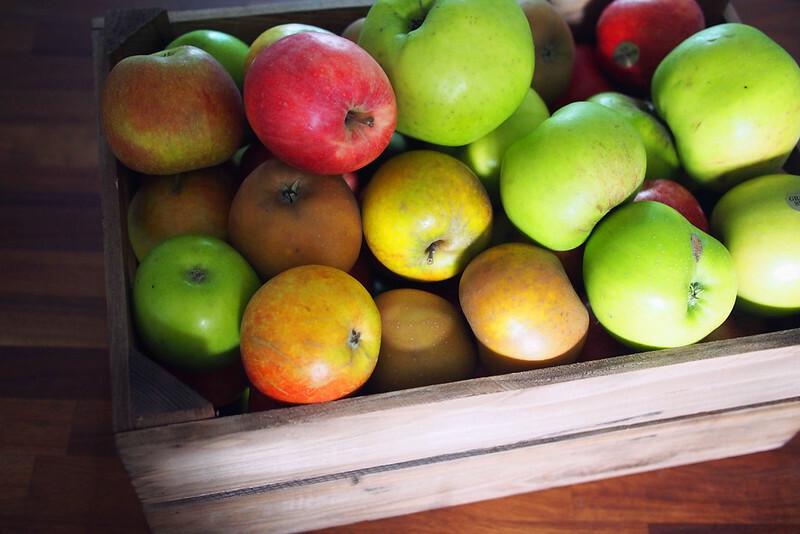 So I was happy to get an email from Garden Trading asking if I’d like to try out an apple press from their range of harvest season products. If you haven’t heard of Garden Trading yet, they make timeless and practical homewares that look equally at home in a country cottage or a more modern setting: I’ve got their enamelled metal lightshades in both my bedroom and kitchen. Here’s the sweet little apple press they sent me. 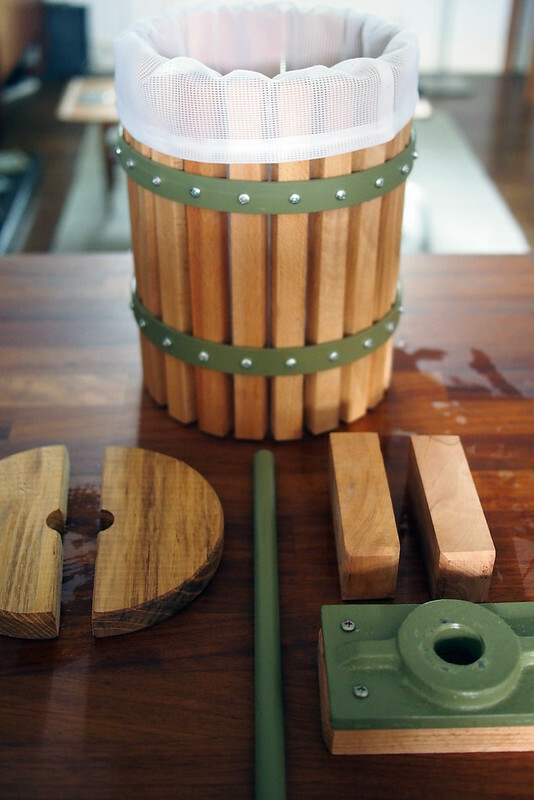 Crafted from solid wood and pretty sage green painted cast iron, it feels solid and well made. It’s nice and petite so fits onto the kitchen worktop easily. It comes ready to roll, complete with a mesh pulping bag, pressing blocks and simple instructions. 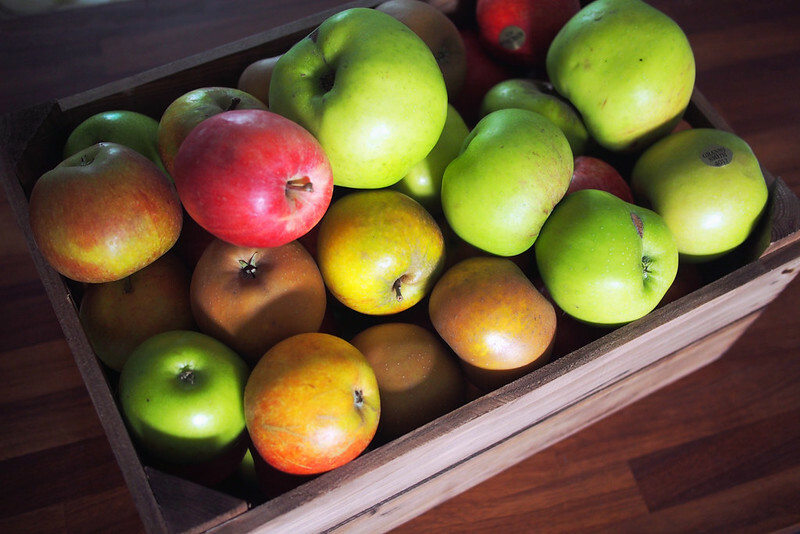 To give it a whirl, I bought a lovely range of apples from my local greengrocer: a mix of eating apples like Granny Smith and Gala for sweetness mixed with cooking varieties like Bramley for sharpness. Don’t they look pretty? 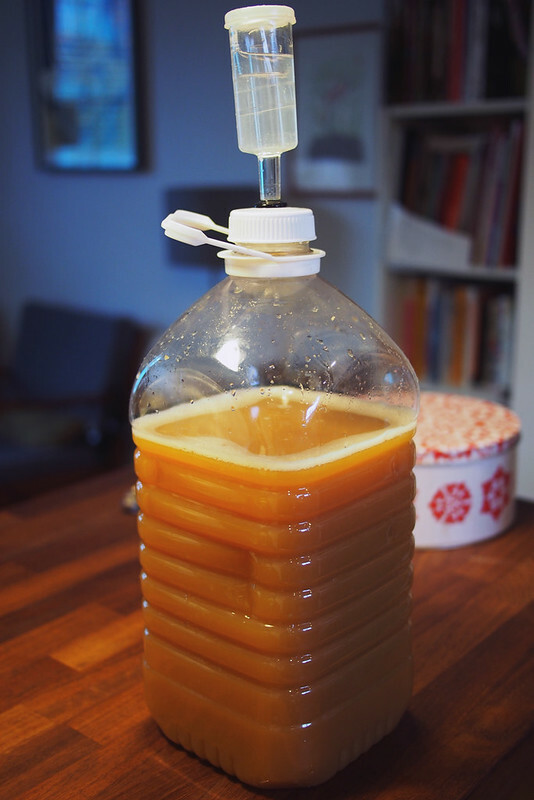 The 9kg I bought yielded about 6 litres of juice. 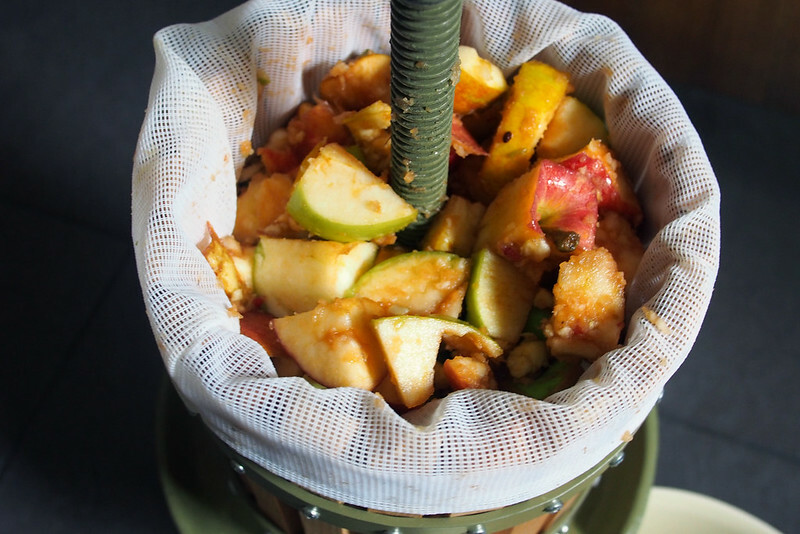 The process is pretty simple, though you need a bit of elbow grease and be prepared to get pulpy and sticky! First wash and roughly chop the apples: I did this by hand but for a larger batch you’d probably want to use something more mechanised. Then you need to roughen/pulp them up a bit: we used a stick blender but a bowl food processor would have been quicker and cleaner. Give them a good whiz so they’re broken down but not entirely mush. Pop the pressing blocks on top and start turning. Ta-da, out pours lovely apple juice! 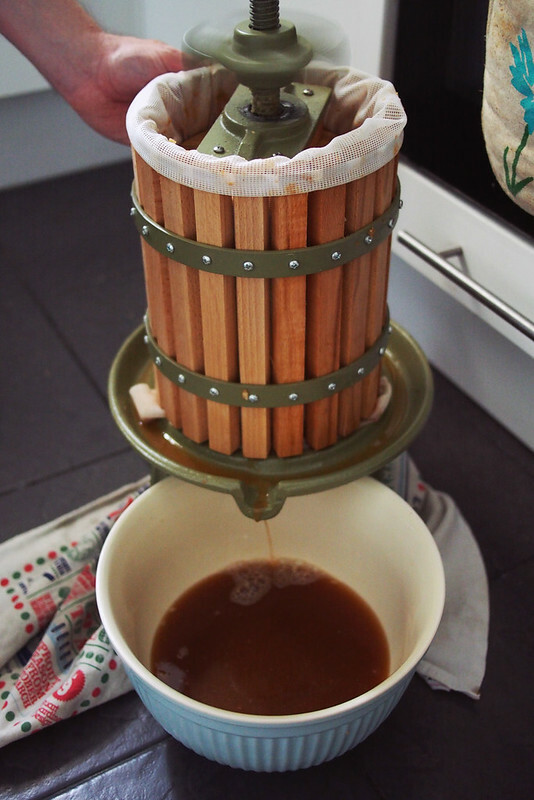 Of course you can just drink it right away, but I really fancied trying to make cider from it, with a little help from the live-in brewer boyfriend. 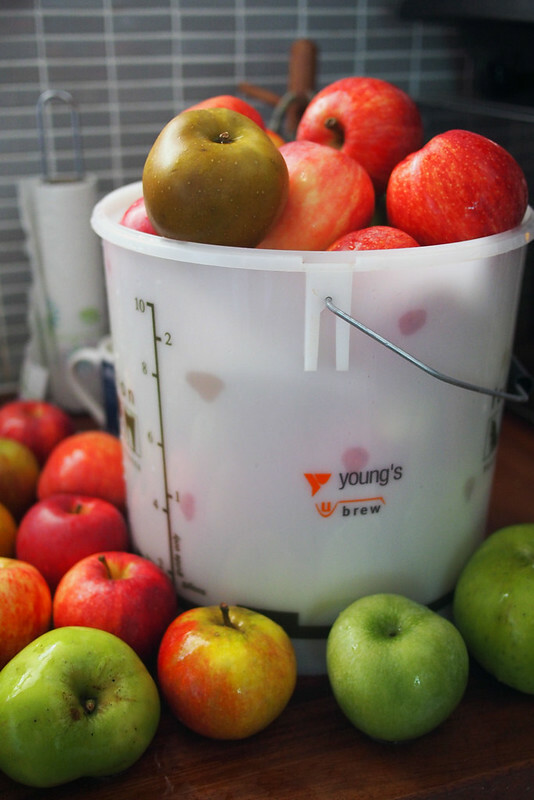 It just requires a couple of extra supplies and ingredients – cider yeast, Campden tablets and PET bottles, all which I got from Brew UK – as well as the fermentation bottle and airlock which Josh already had from beer brewing. The Campden tablet stops any wild yeasts or bacteria from mucking up the fermentation, as well as lightening the colour. After 24-48 hours the cider yeast is added, then it needs to be tucked away away under the stairs for a couple of months, so it should be ready just in time for Christmas. Can’t wait to try it! 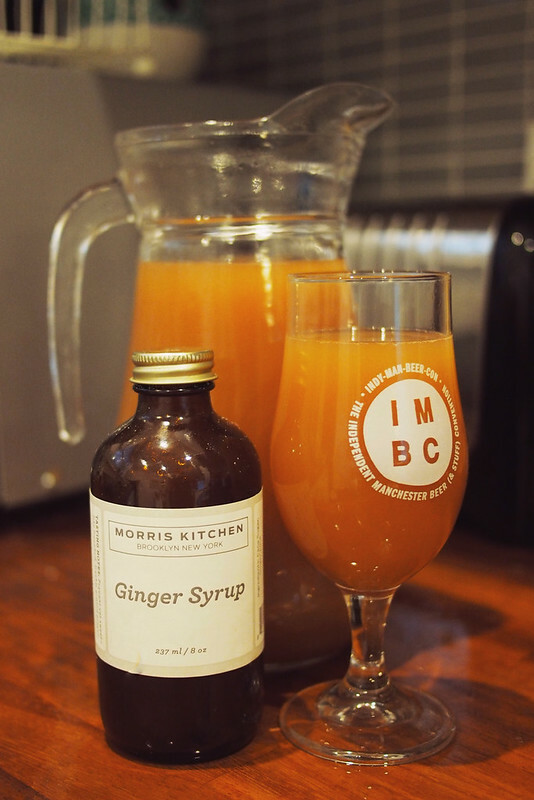 We also had a bit leftover to drink straight away, to which I added some of this Morris Kitchen ginger syrup I got in Brooklyn. 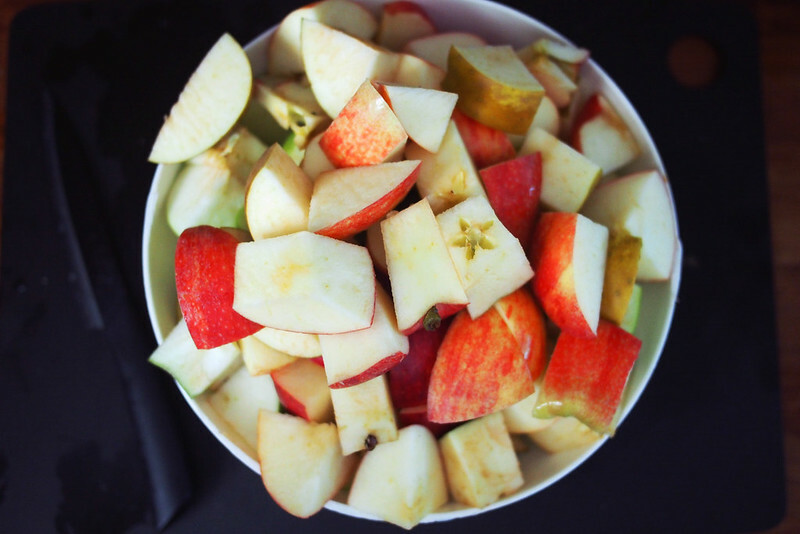 Delicious. 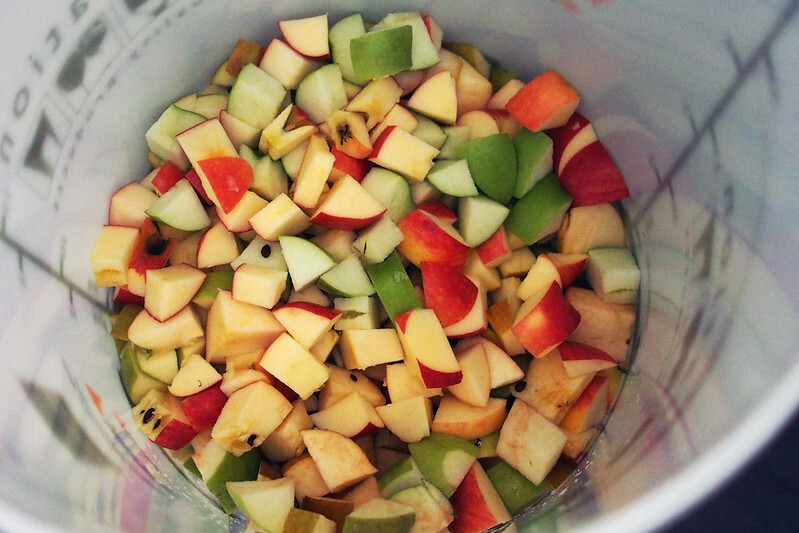 The juice can be frozen too, which would be handy if you’re lucky enough to have a glut of apples to use up. All in all, top autumnal fun. 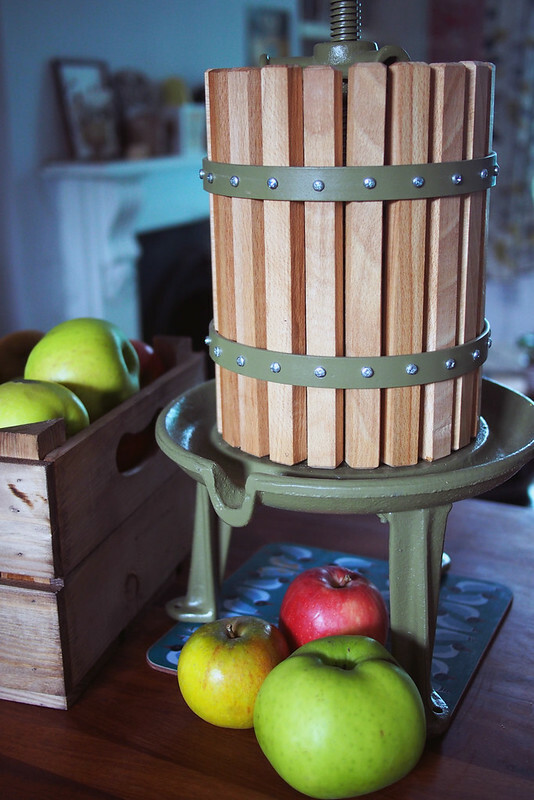 Apple press supplied for review by Garden Trading – thank you! So awesome! I love cider and making your own sounds amazing. Love the colour in these. The blues are just gorgeous and so clear.